Well, the box from Wes starts to rain, and it's raining vintage. Lots and lots of vintage. We all have our own basis for when vintage begins. To me, it's anything pre 80. Fleer seriously entered the game in 1980, and while I can view the first couple sets from Fleer as vintage, I just draw the general line at '79 and earlier. So - how much new vintage did I receive? Yes - 64 new....er......old cards in my collection. A few dupes, but all total it was 64. Which makes for a hell of a segue when the first scan I show is this. Here's a couple more. Keane surprisingly retired from the Cards after winning the World Series in '64, only to more surprisingly take over as manager of the Yanks in '65. I know the plight of helping the kids do math, but the hell if I ever grabbed a card for scratch paper. And to think the first all transistorized calculator came out in 1964. 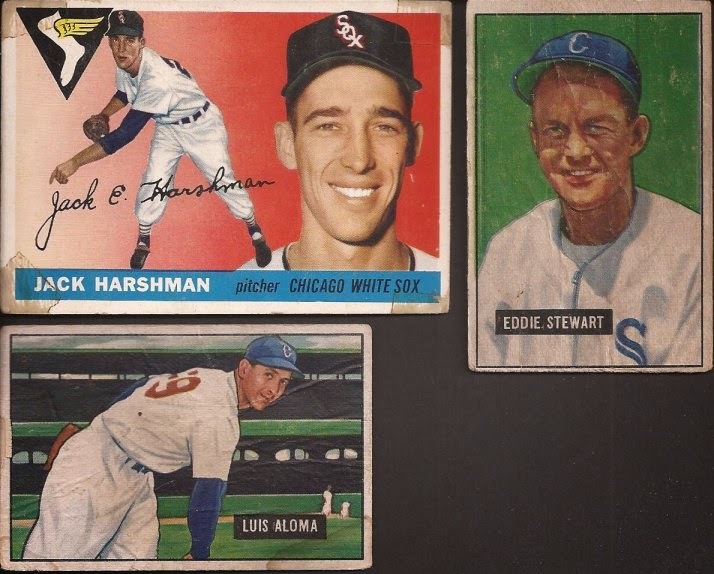 So working through the rest of the years, Wes sent two '51 Bowman and the one '55 Topps. Put that '55 in my sampler binder and crossed the year off my needs list. 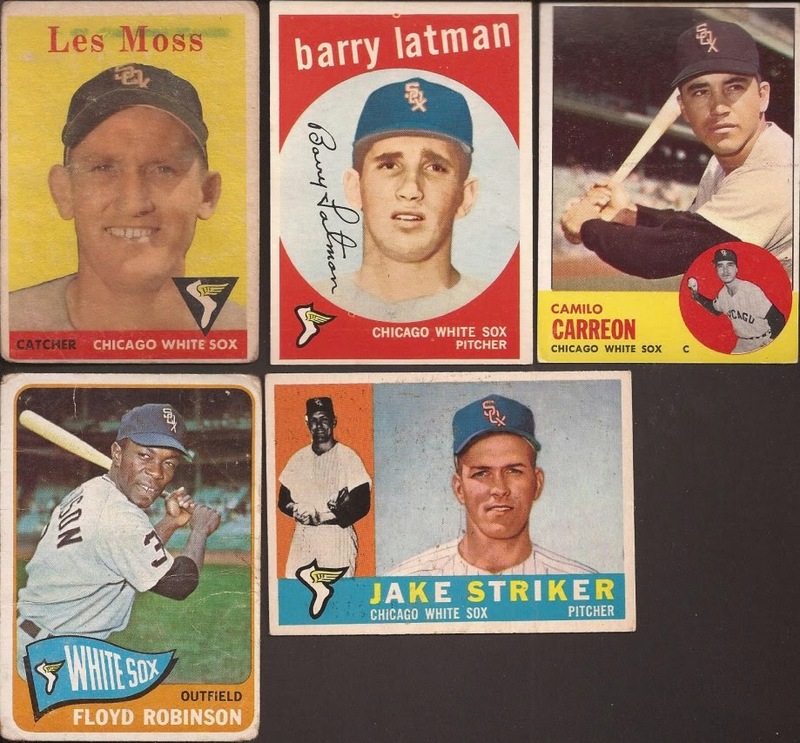 Also in the envelopes were three cards from 1958, two from 1959 (nice shopjob on Latman's cap), two from 1960 (which is a set that is growing on me in style), two from '63 and two from '65. The dupes from 64 went into my Sox team sets, so thanks for those, Wes. 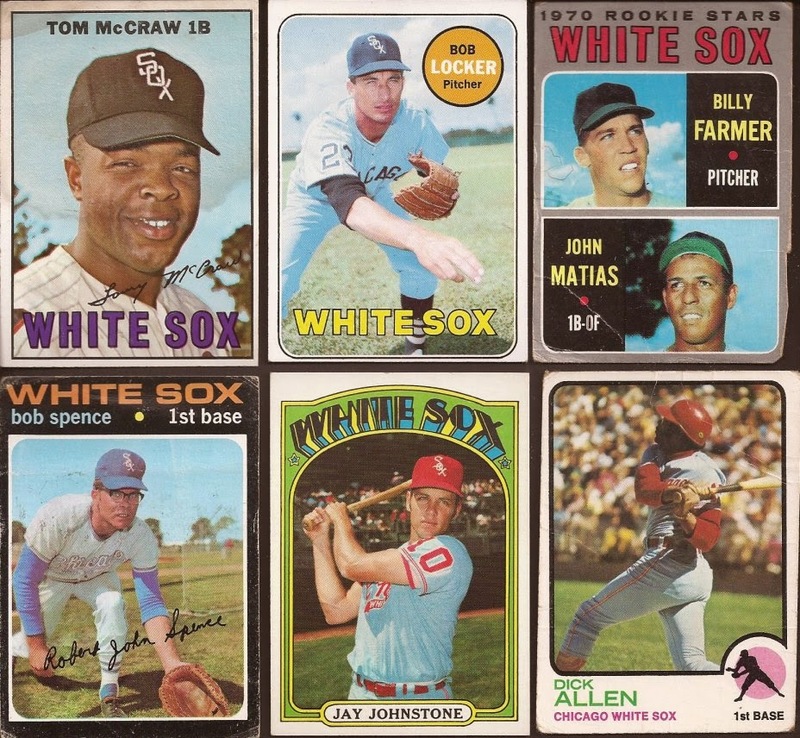 And here are the last years from the vintage: one from 1967, one from 1968, six cards from 1969, four out of the 1970, one 1971 (please White Sox - bring back those blues for a throwback, along with the white stirrups and blue sannies), five from 1972 and four cards from 1973. And yes, that 1970s rookie card is trimmed on the edge. Though, instead of saying trimmed, I'm saying it's more "Honey? Have you see the scissors? 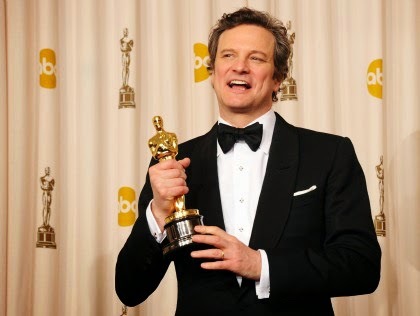 Jaaaaack. No, Jack. NO! Put those scissors down. No! STOP!". Thank you. You like me. You really like me! Tomorrow, I am suspending Throwback Thursday to keep on the bombing. We'll finish up the vintage with new additions to my Fox and Aparicio player collections. Then, into the mini box of fun. This storm isn't letting up for a few more days. Someone really needed to work out a math problem on that Pinson card. 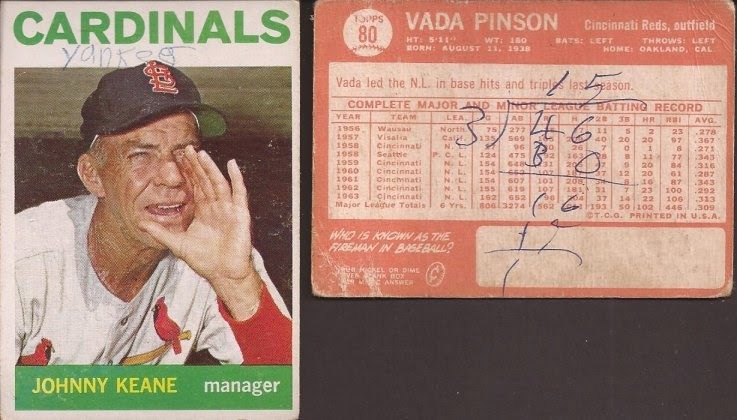 The math problem just makes the Pinson card better. I'd love to go back in time and find out where the kid did that? Was it a test and he was cheating? Were him and two friends trying to figure out how to divide up 46 baseball cards?